We've provided the best fishing season guide for you to learn when to go fishing. February - As the cold winds bow out of the north the water temperature drops throughout the winter months. Most of the fish that swim on top migrate to warmer waters except for the Yellowfin Tuna. These fish stay around upwelling of warmer waters of the deep and tend to stay around Oil Rigs and Big Deep rock formations. It is not known if they are spawning or feeding on the nutrient rich creel and small fish that creel, whatever the case is, it provides a great time to harvest some of these fish while they are bunched up. We offer a couple of different types of trips for catching Tuna in February, either an 18 hour trip or the more popular 2 day (36hr) trip. Amberjack are still open till the first of July and are plentiful around the shallow water oil rigs as well this time of the year. 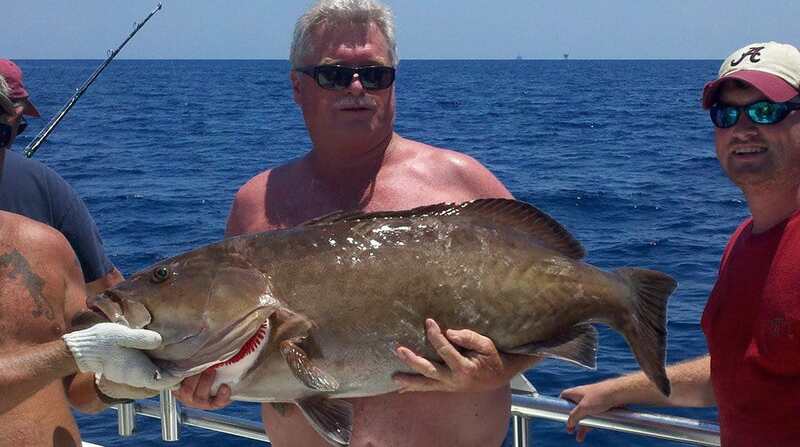 Deep water Grouper, Tilefishes, Triggerfish and Vermillion Snapper are open all year long. We can take you out to the deep sea oil rigs where these bad boys swim. 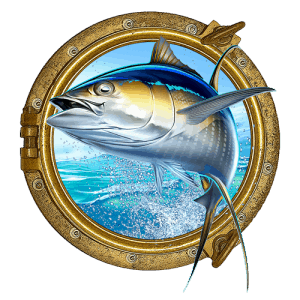 We'd love to see you catch a tuna or a blue marlin on your next adventure. Book your next fishing charter online now! As the old saying goes, March comes in like a lion and goes out like a lamb, the cold winds still blows for a little while. In the meantime we are still catching Tuna and making our trips out to the rigs and catching all the other fish as well. Shallow water Grouper are closed until the first of April, Gag Grouper are closed until the first of July and Red Snapper are closed until the first of June. 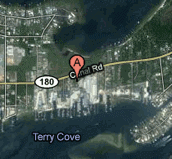 Cobia Start to migrate up the coast of Florida from the warm tropical waters in the south. Whenever the south east wind blows, the Cobia (Ling or Lemon Fish) ride the waves as they soak up the sunshine. This brings them here quickly, so in the blink of an eye we go from cold winds to a tropical wave of warm sunshine and the possibility of site fishing for Ling. The Cobia fishing is heating up as the waters warm up. We site fish for the Cobia by cruising slowly down the coast as we stand up in the tower of the boat and throw live eels or a jig to the fish when we see them. Along with the warm water, a host of fish starts to show with the temperature increase. Lots of bait like Cigar Minnows, Threadfin Hearing and others bring in King Mackerel, Spanish Mackerel, Red Fish, Sheepshead, Flounder and Specked Trout. The water offshore is also warming up where we are Tuna Fishing and that brings in Dolphin fish (Mahi-Mahi) around the rigs where the Tuna are. Wahoo also come with the warm water and the tide lines of grass that hold bait. The Amberjack are getting huge because nobody has been paying them much attention during the winter. The weather is getting great and we are enjoying summertime like conditions. The water has been warming up and the fishing is heating up. All of the bottom fish are biting good and the offshore Tuna are really going off. There are Cobia ganging up on the big inshore wrecks and all of the trolling fish (Wahoo, King and Spanish Mackerel, Dolphin) are feeding on the new schools of bait that have just arrived, so they’re biting good too. The Triggerfish start to show in big numbers and there are some whoppers to be caught during this early season. Mingo’s and White Snapper are plentiful on our short trips as well as our long ones. Red Snapper Season is OPEN! Amberjack season is closed during Snapper season. For now, we know that we will have approximately 45 days of Red Snapper season. The National Marine Fisheries Service will determine how much and how long we can catch Red Snapper. Now the waters are about back to normal temperatures and the trolling fish are biting in close on the beach and all the way offshore to the deepwater oil rigs where the tuna are. From July 1st- October 31st. We are still catching Red Snapper until they tell us the close date. All of the bottom fish are biting good and the trolling fish are at their peek. 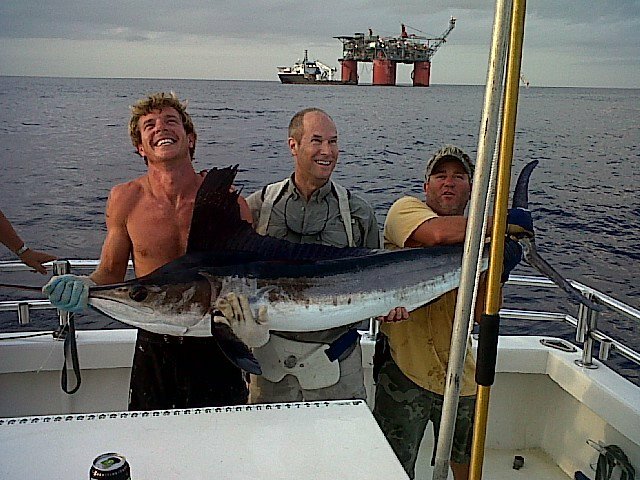 The offshore Tuna bite is still good and now the waters are filled with Blue Marlin, Sailfish, Dolphin and wahoo as well as all of the species of Tuna. This truly the best time of the year to go fishing If, you can find an opening on a boat anywhere. This is why you should plan ahead for your trip and book in advance so you can get the day that you want. This is also the some of the best weather days we have during the entire year. Absolutely breathtaking sunsets and sunrise’s. It’s not uncommon to see the water as still as a mirror. It really is a special time to leave out at the break of dawn on an all day trip and take advantage of the calm waters to get as far away and back as you can in one day with the best conditions you could possibly ask for. These are the days that stick in my mind the most, it’s like living the dream. They are memories that last a lifetime. Our captain and crew are ready to take you on your next lifetime adventure. Amberjack are open again according to when the Snapper season closed sometime middle of July or August. This is also a great time to do the deep drop fishing for Tilefish, Snowy Grouper, Yellow Edge Group and all the other fish. All of the bottom fish are still biting good and will continue to till the water gets cold and the wind blows hard out of the north. This is a great time to go because the schools are back open and the pressure is off the fish and they seem to know it. Along with the calm weather and the increased fish bite this makes for a great time to go fishing. Last fishing month of the year! Everything is still the same with the exception of cold fronts and extreme weather changes. It’s all fun till you get caught in a “Blue Norther”.